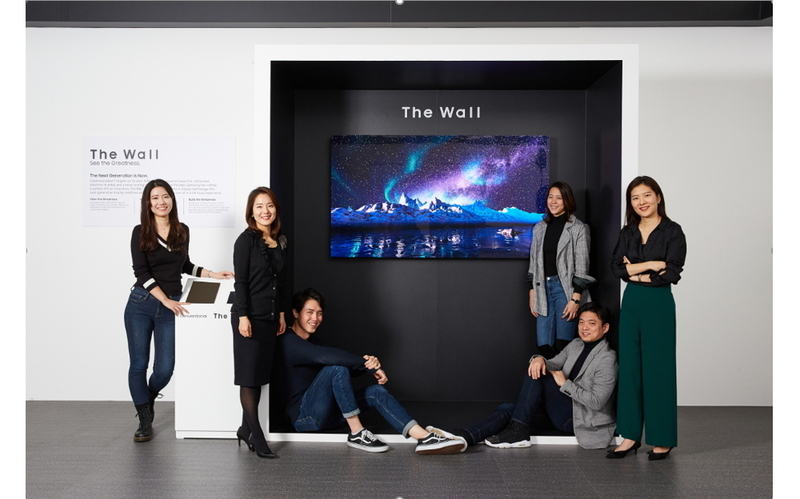 Since its launch in June 2018, the commercial industry version, The Wall Professional, has been providing viewers with exceptional immersive experiences, situated in large buildings and hotels. Yet ensuring that consumers can enjoy this superior picture quality in the comfort of their own homes presented its own unique challenges. 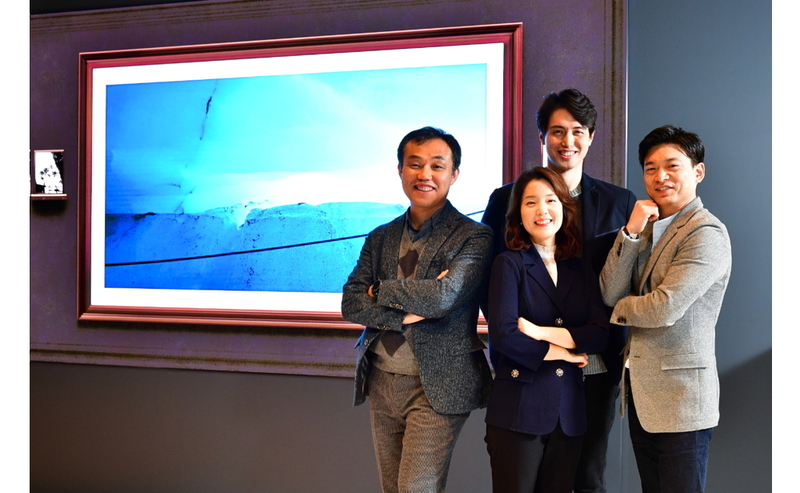 The team behind The Wall 2019 began by conducting research into popular interior décor trends around the world. 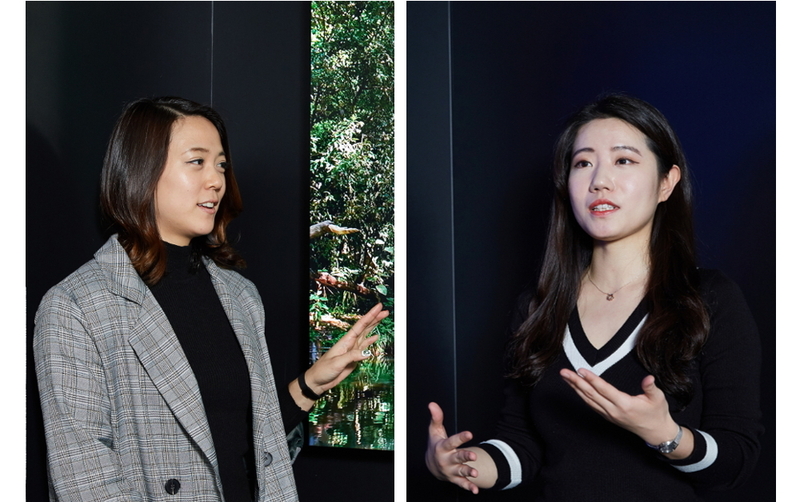 “We learnt about the lifestyles of our target consumers and their preferences around the home by looking at images online,” explained UX designer, Heejin Ko. 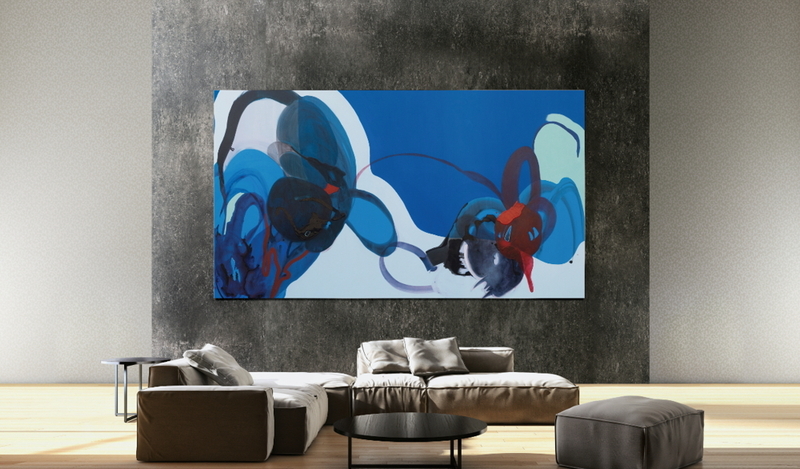 Set to “Ambient Mode”, a 219-inch The Wall displays “Blue Abstract 2001” by Stephanie Pryor. The Wall 2019 can be transformed into a Feature Wall in the home or blend in seamlessly with its surroundings. A total of seven different categories are available to choose from, allowing users to personalize their screen to what best suits their home. 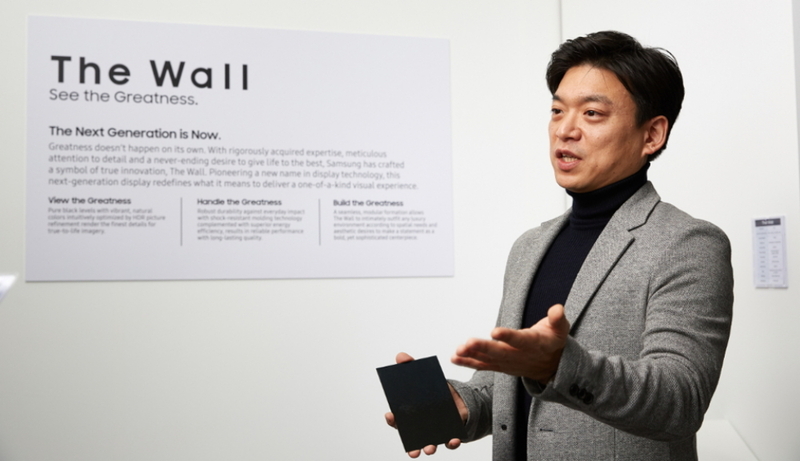 Alongside its sleek design, The Wall 2019 achieves richer picture quality, thanks to AI-Upscaling technology and a peak brightness of 2,000 nits. The screen is also equipped with enhanced lifestyle features that can transform a room in moments. The customizable UX allows users to create a Feature Wall when the screen is turned off by choosing a picture, painting or piece of framed art that best suits their tastes. Alternatively, a wide variety of premium wall materials, finishes and other décor options are available. A dedicated tablet controls what is displayed on the screen, allowing viewers to easily search for content and images. The screen delivers enhanced functionality when turned off, as it can display real-time information such as time, weather updates and ambient brightness. Further heightening customizability, the Zoom-in and Zoom-out feature ensures that all content is displayed at an appropriate size for the viewing distance. “You can control the screen size with just a click of the remote control,” explained Hyunkyung Lee, also a Marketer.